Sacroiliac joint ischemia causes pain through oxygen deprivation. There are structural and mindbody variants of ischemia. However it is clear that virtually all cases are psychogenically-motivated. Sacroiliac oxygen deprivation syndromes are a leading cause of chronic pain and are rarely correctly diagnosed for what they truly are. Dr. John E. Sarno made the idea of ischemic causation famous and we thank him for bringing attention to this important topic. Ischemia still does not receive adequate acknowledgment in the medical establishment, mostly because the acceptance of it undermines the financial aspirations of treatment providers and because traditional doctors are simply not qualified to diagnose or treat psychogenic pain conditions. This vital dissertation details ischemia as a symptomatic origin in the sacroiliac joint. 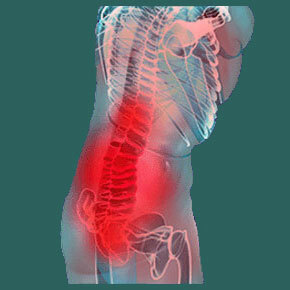 We will explain why ischemia occurs in the sacroiliac and how it can be treated. 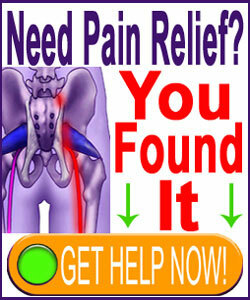 What is Sacroiliac Joint Ischemia? Ischemia describes a reduction in circulation in a particular anatomical area. This reduction in blood flow creates serious problems for cells due to several reasons, including reduced metabolism of waste, insufficient nutritional provision and the most obvious and immediate effect: reduced oxygenation. Remember that blood cells carry oxygen to every cell in our bodies and without adequate circulation, the affected area will become oxygen-deprived in a short time span. Every cell requires oxygen to live and function properly. Without oxygen, cells will fall into dysfunction and often demonstrate painful symptoms. Soft connective tissue cells, like those found in ligaments and tendons, are very resistant to oxygen deprivation, so it requires an ongoing process of ischemia in order to affect them. Muscle cells are less resistant and will suffer symptoms quicker in most cases. Nerve cells are the least resistant to ischemia and will almost immediately begin to suffer degradation of functionality within moments of being deprived of oxygenation. Typical effects of ischemia depend on the region and cell types affected, but usually include acute or chronic pain, soreness, tingling, numbness, weakness and general dysfunction of the region, with stiffness and peripheral symptoms commonly surrounding the affected region. Ischemia can be caused by structural or mindbody phenomenon. Structural causes for oxygen deprivation include circulatory injury or disorders, arterial blockages, some disease processes, circulatory vessel compression syndromes, such as thoracic outlet, blood disorders and other systemic events. Most of these conditions can be eliminated or confirmed as the true source of pain with basic evaluation during diagnostic proceedings. It is rare that structural ischemia is overlooked or misdiagnosed, since it tends to provide verifiable evidence of its existence, as long as the doctor is checking for it. Mindbody-enacted ischemia is completely different in that nothing is actually wrong with the body to create the oxygen deprivation. Instead, the subconscious mind decreases the diameter of the small blood vessels in a regionally-targeted area in order to purposefully deprive the tissues of oxygen. This process can be started in less than 1 second and can be perpetuated for as long as the subconscious mind desires. Typically, mindbody ischemia is an ongoing occurrence that creates chronic psychogenic pain syndromes that rarely responds to traditional forms of treatment. Worse still, the mind tends to choose locations for pain that mimic actual structurally-based diagnoses, especially in anatomical areas where abnormalities tend to exist. This explains why the most common areas for mindbody ischemia include the lower back, the neck, the gastrointestinal tract, the wrist, the knee, the hip and the shoulder, as well as the head. Instead of accurately diagnosing these mindbody syndromes, usually the diagnosis will be of some incidental structural abnormality, such as a herniated disc, arthritis, carpal tunnel, TMD, gastric ulcer, bursitis or other common conclusion. Structural forms of ischemia must be treated according to their origin. Some syndromes can be resolved with drugs, while other might require surgical intervention. Regardless, as long as a structural ischemia syndrome is discovered, it can virtually always be resolved using the indicated curative modality of care. Mindbody variants of ischemia will not generally respond favorably to any form of traditional healthcare. This is because these methods only reinforce the mistake of structural causation, empowering the syndrome to continue defiantly in the face of illogical treatment. This helps explain why so many chronic pain sufferers experience disappointing results from so many different forms of treatment, including surgery. In some instances, powerful forms of intervention, such as operations, might create temporary relief through the power of the placebo effect, but this decrease in symptomology is short-lived or might result in the symptoms moving to a new location. For more information on symptomatic migration, please read our original essay on back pain substitute symptoms on the Cure-Back-Pain.org website. The ideal form of treatment of mindbody ischemia is knowledge therapy. This practice goes directly to the source of the pain, which resides in the mind, dispelling the illusion of structural causation and allowing the consciousness to finally understand why the subconscious needs to provide itself with such a pathological defense mechanism. To learn more about the reasons for mindbody pain, please enjoy our coverage of psychosomatic sacroiliac pain conditions, as well as many other topical articles throughout the sites of The Cure Back Pain Network. Simply search “psychosomatic” for all our detailed informational articles on mindbody medicine. In the meantime, if you need help with an sacroiliac joint ischemia syndrome, our proprietary pain relief program is exactly what you need.